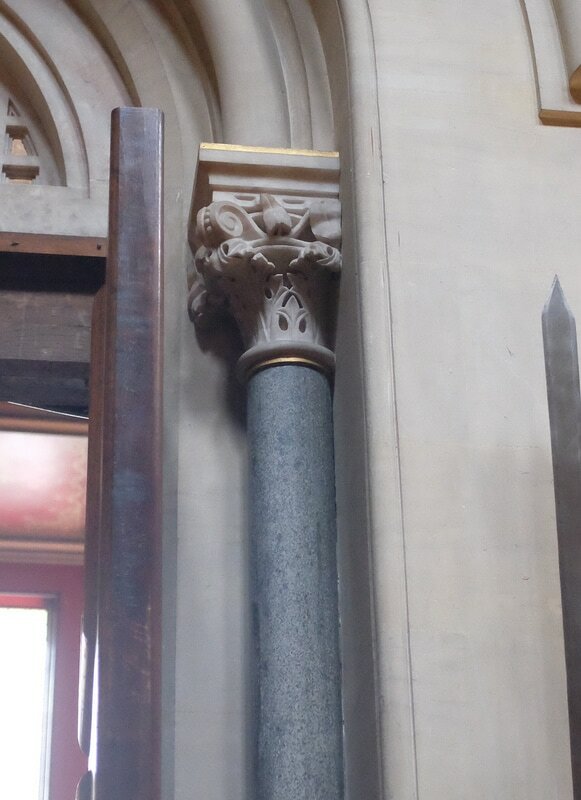 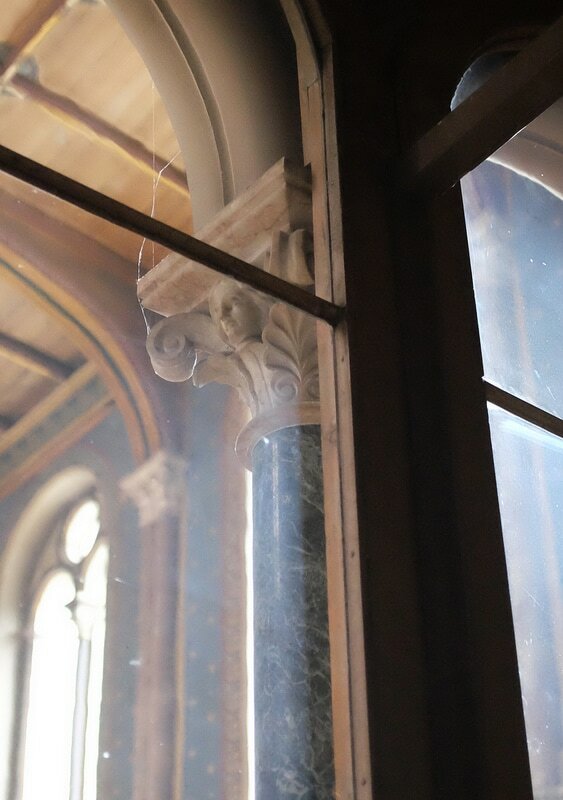 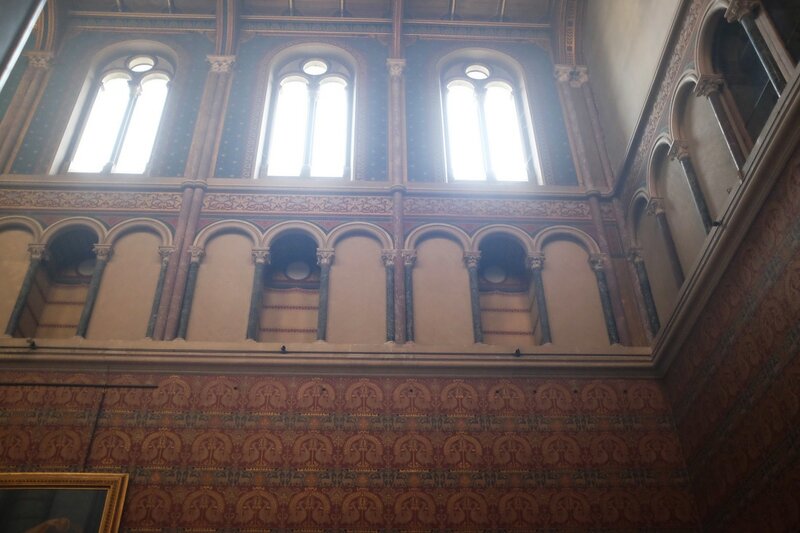 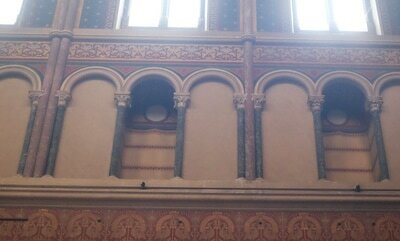 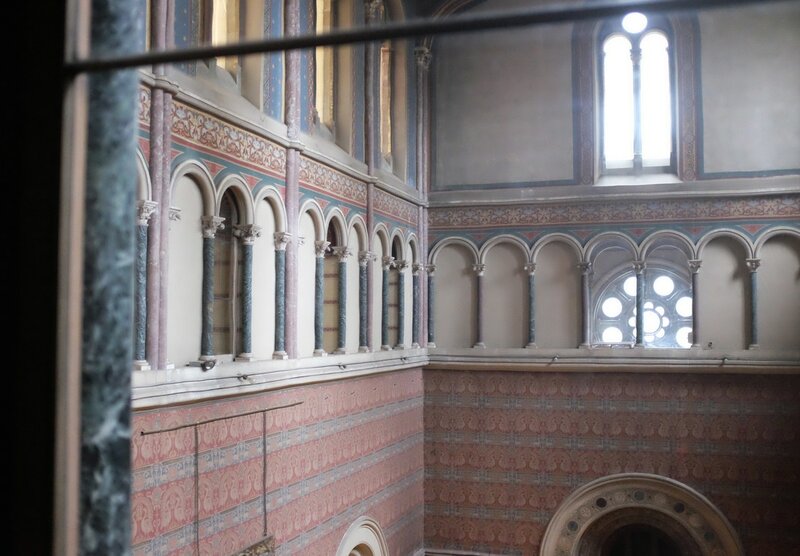 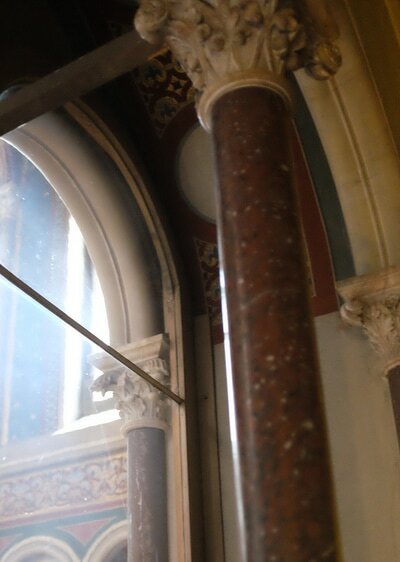 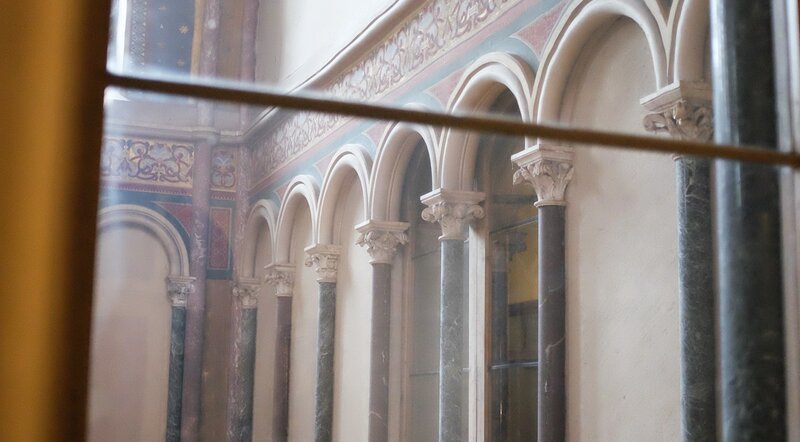 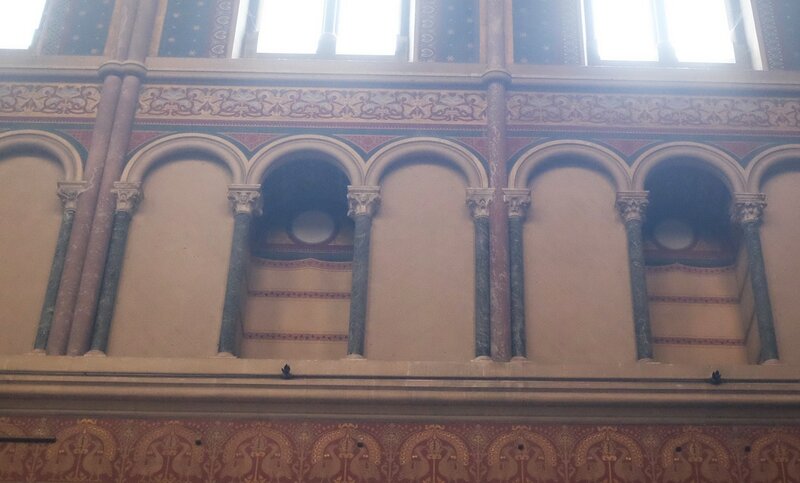 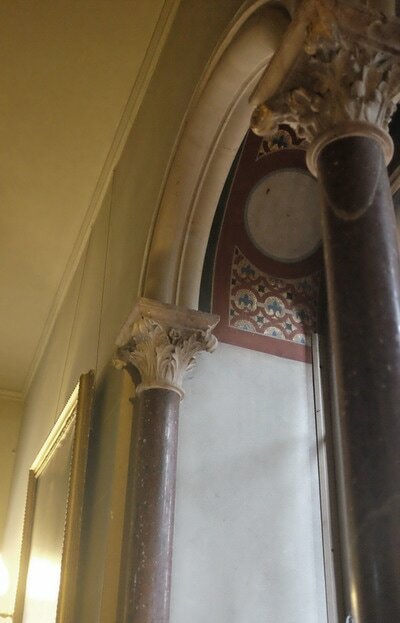 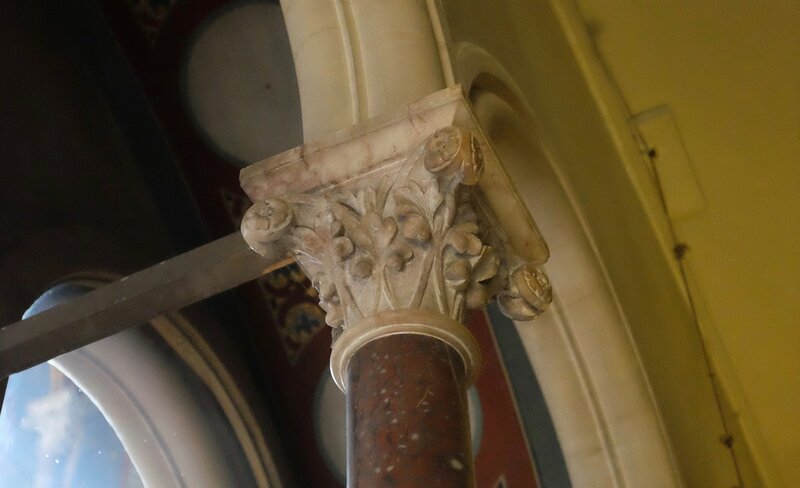 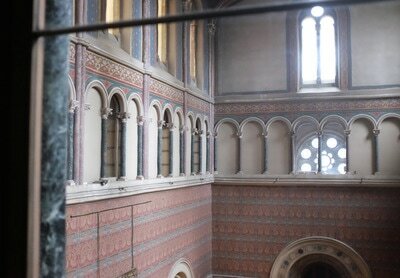 "As part of this new scheme, William Forsyth filled the original blind arcade to the Great Hall with marble columns. 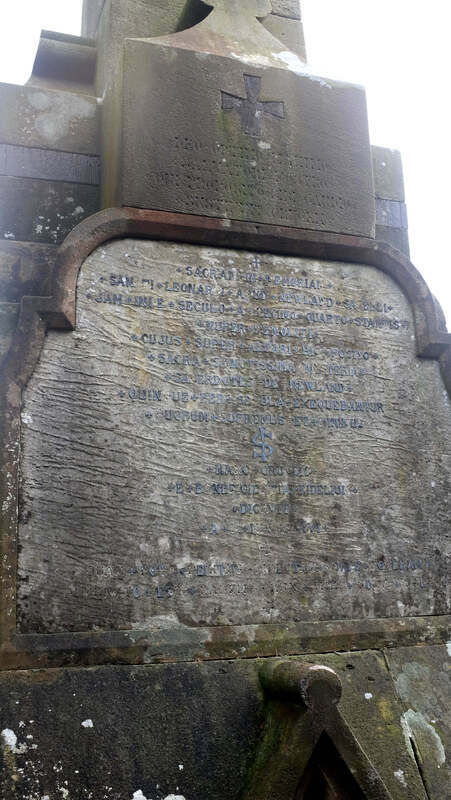 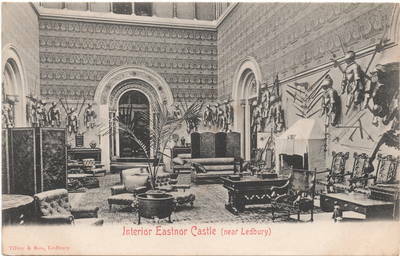 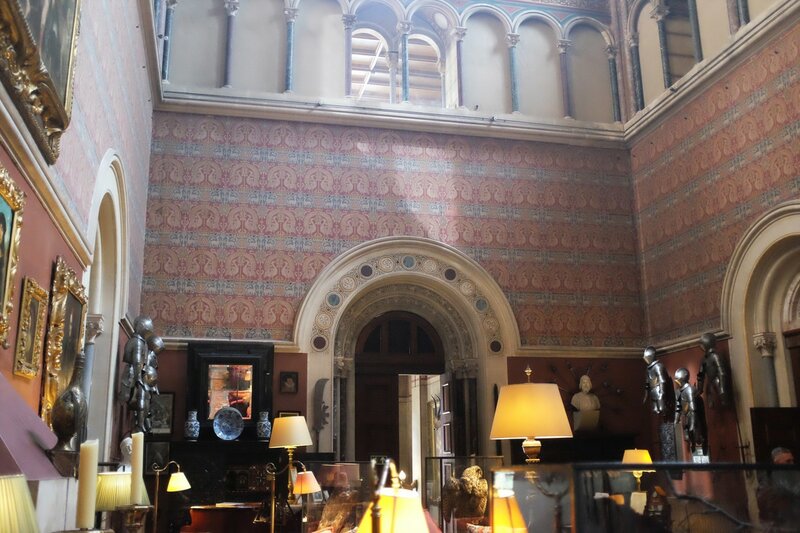 In an undated handwritten note, Alderman Brotherton comments that : ' Viscount Eastnor....invited Mr Forsyth to his residence at Eastnor castle, for the purpose of beautifying the splendid Hall. 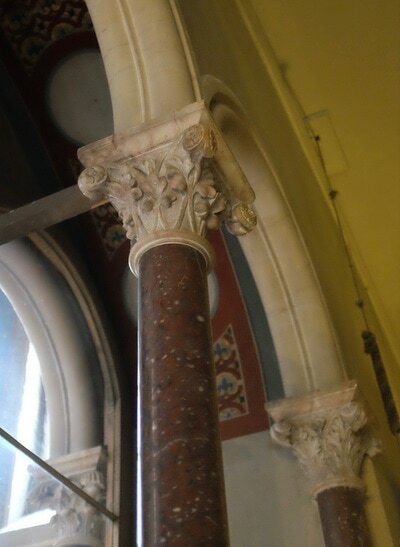 His Lordship brought from the ruins of Ninevah some lovely jasper columns which had been unearthed by Mr ( afterwards Sir) Henry Layard. 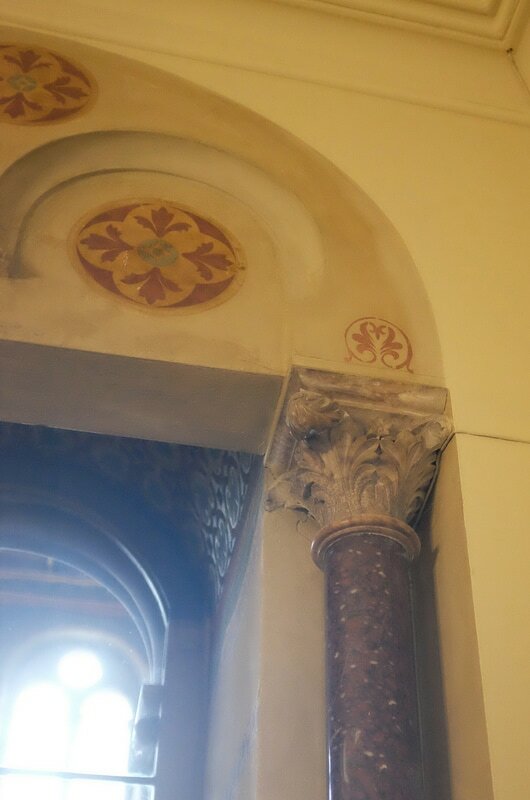 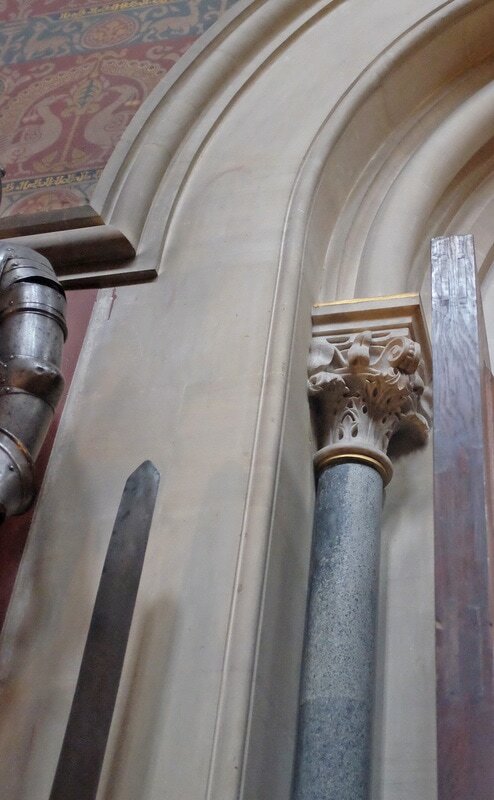 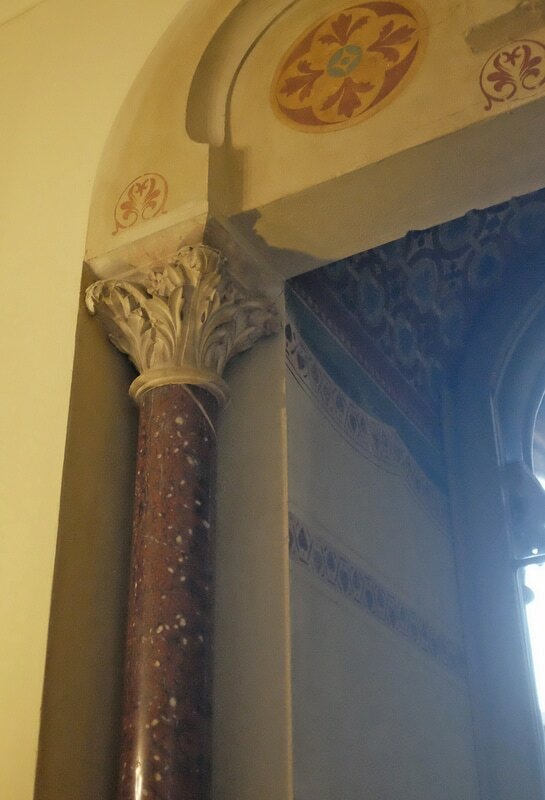 These were used in the Hall, together with much carved stone work. 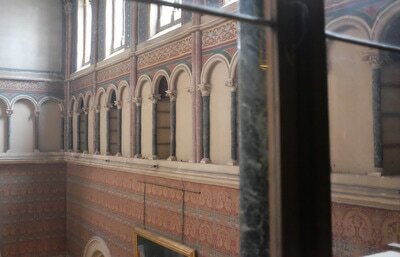 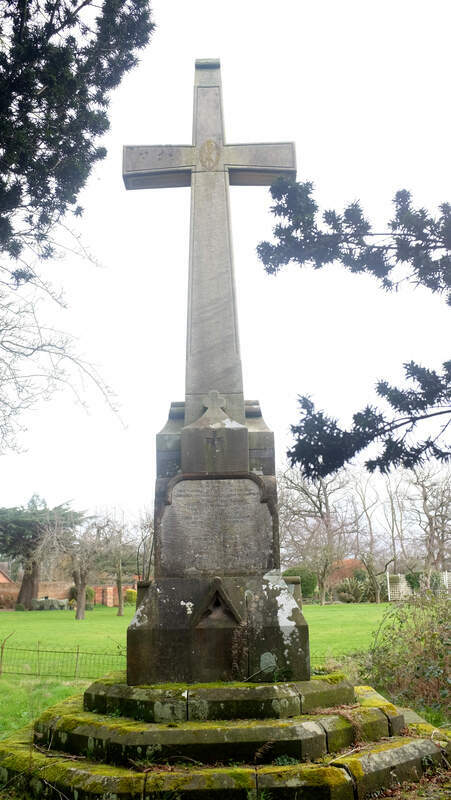 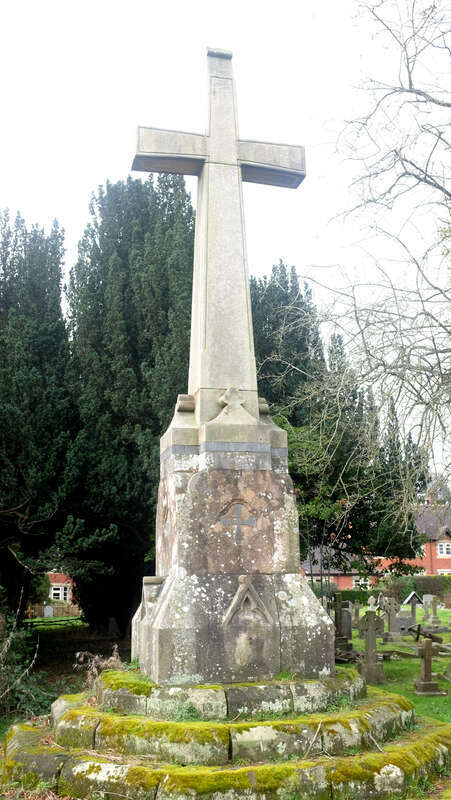 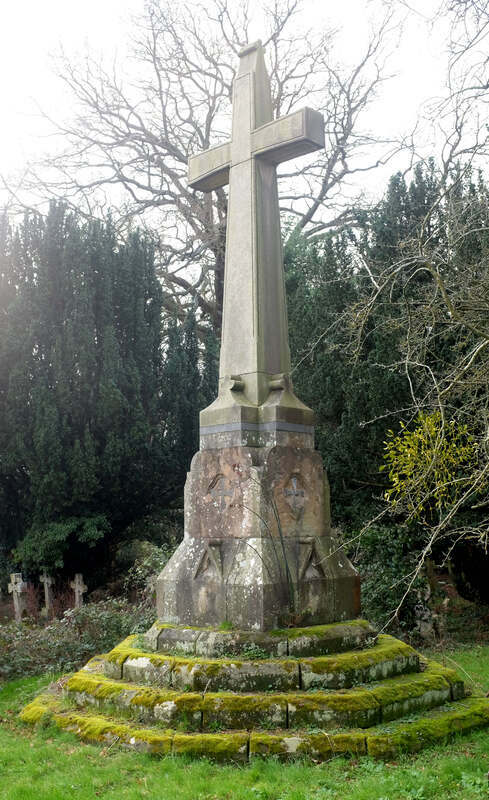 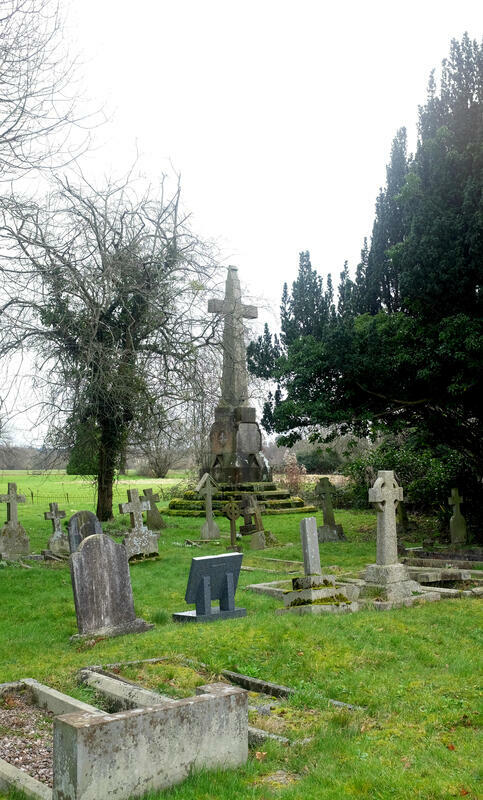 This occupied Mr Forsyth for several years' "